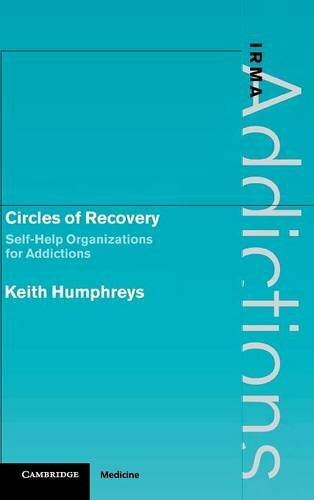 Circles Of Recovery: Self-Help Organizations For Addictions: 9780521792776 Hardcover - LIMEROCK BOOKS INC.
Self-help organizations across the world have attracted millions of individuals seeking to address addiction problems with drugs or alcohol. This book provides an integrative, international review of research that focuses on how these organizations affect individual members and whether self-help groups and formal health care systems can work together to combat substance abuse. In addition, it offers practical strategies for individual clinicians and treatment systems on how to interact with self-help organizations. Self-help organizations across the world have attracted tens of millions of individuals seeking to address addiction problems with drugs or alcohol. For the first time, this book provides an integrative, international review of research on these organizations, focusing on efficacy, how they affect individual members and whether self-help groups and formal health care systems can work together to combat substance abuse. In addition, it provides practical strategies for how individual clinicians and treatment systems can interact with self-help organizations in a way that improves outcomes for patients.